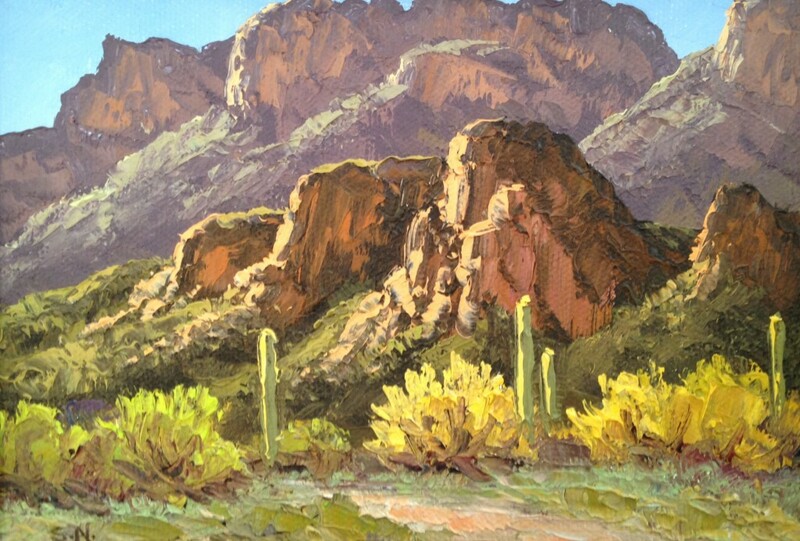 Susanne is enchanted by the Southwest landscapes and the endless creative possibilities they provide. 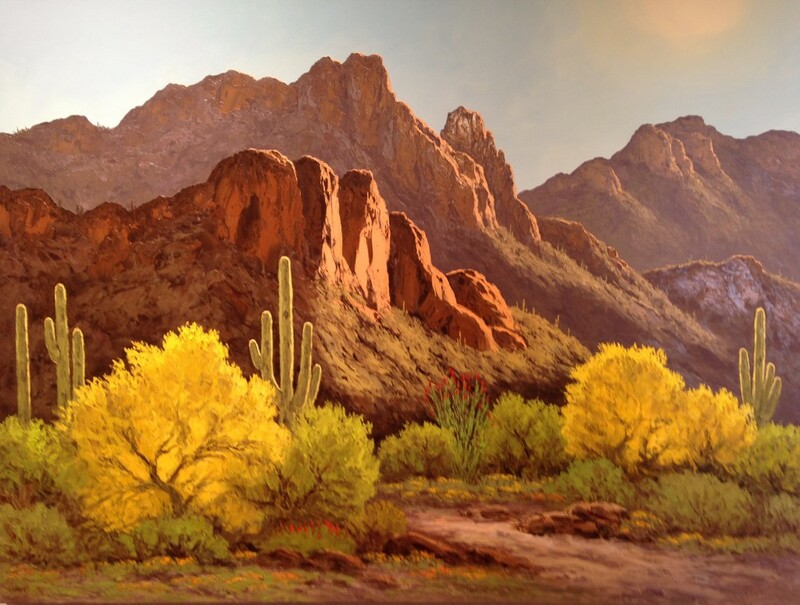 As a daughter of a professional artist, Susanne has been making art all her life. 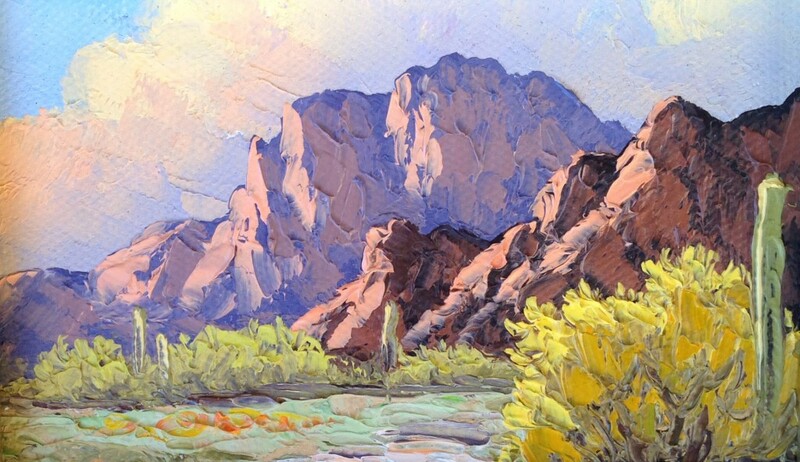 She is best known for her realistic oil, and palette knife ‘Plein Air’ landscape paintings, depicting dramatic desert light on the mountains at sunrise and sunset. 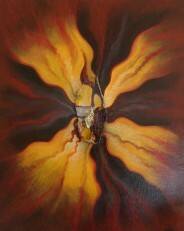 Susanne received her formal training in Boston, at the Art Institute and The School of the Museum of Fine Arts. Then she studied at the Corcoran College of Art and Design in Washington, D.C. 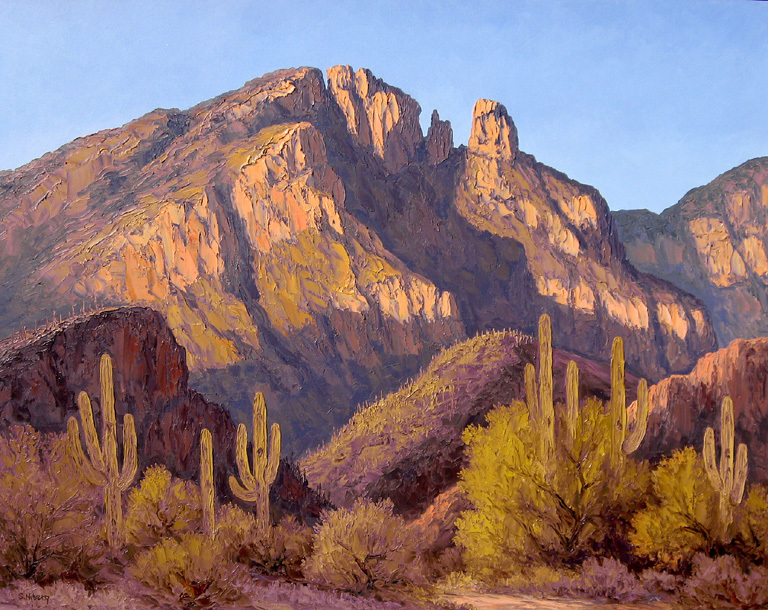 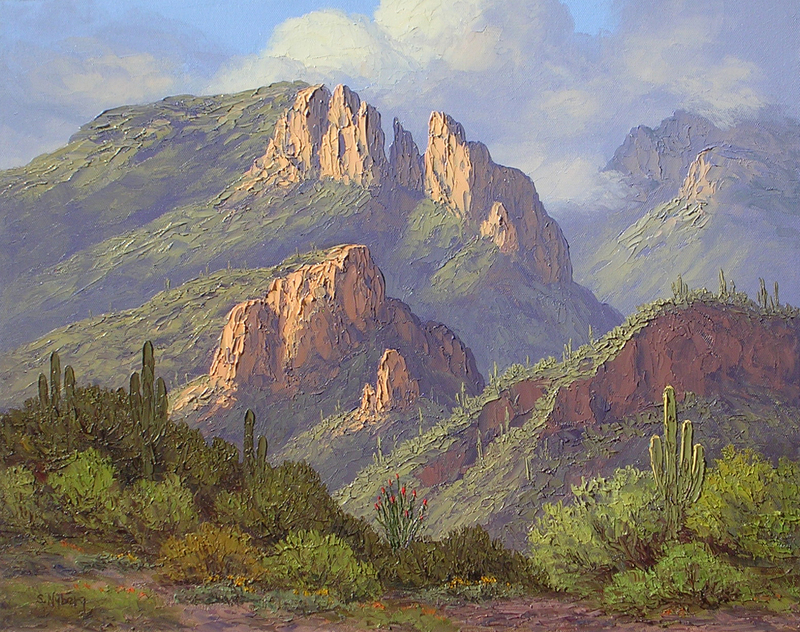 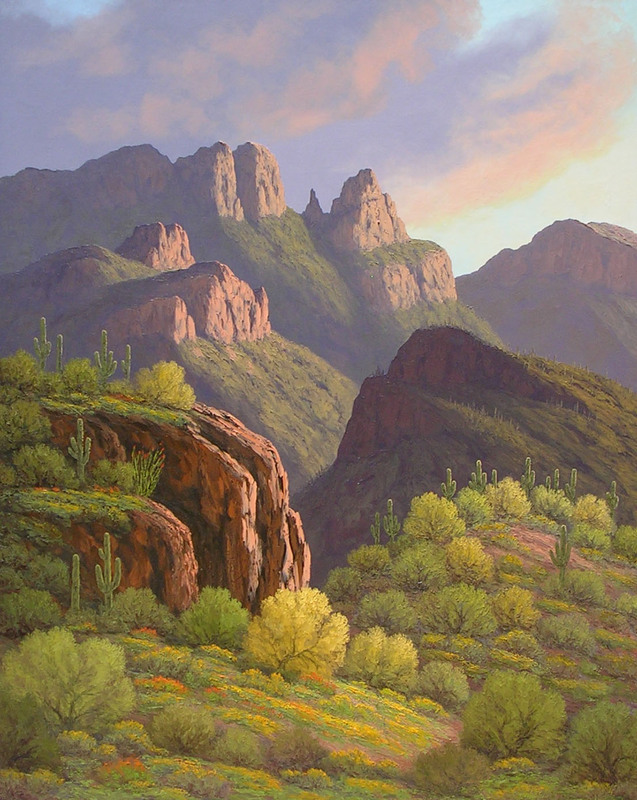 However, the greatest influence on her painting style developed from her long friendship and mentoring with the prominent wildlife and landscape artist, Bill Freeman, whom she met when she moved to Arizona early in her career. 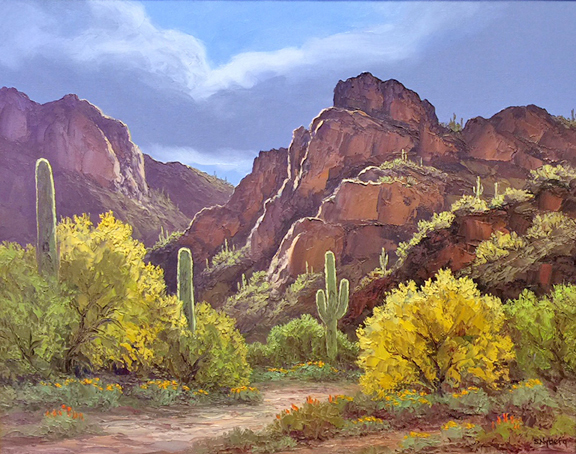 Recently, she invented a new type of art that combines her love of painting with her love of fine collector quality minerals and gems. She uses them as the focal points of unique abstract acrylic one of a kind paintings. 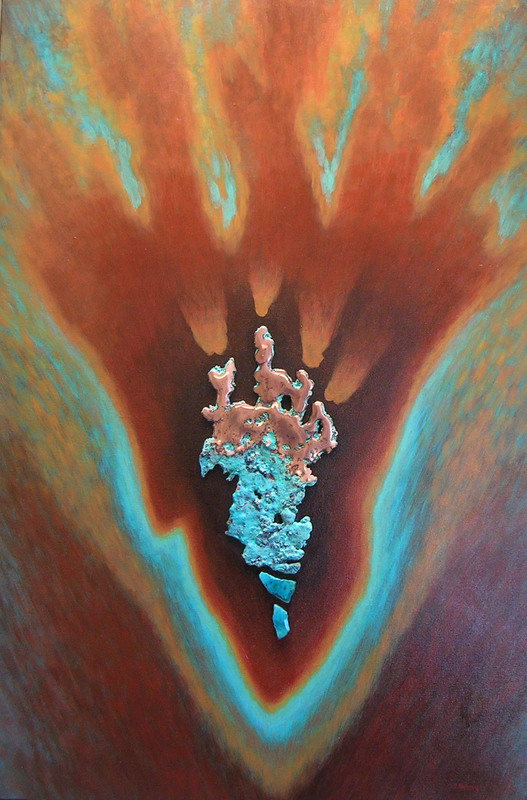 Oil - 60" x 48"
Mixed media - 36" x 24"
Oil - 22" x 28"
Oil on canvas - 5" x 7"